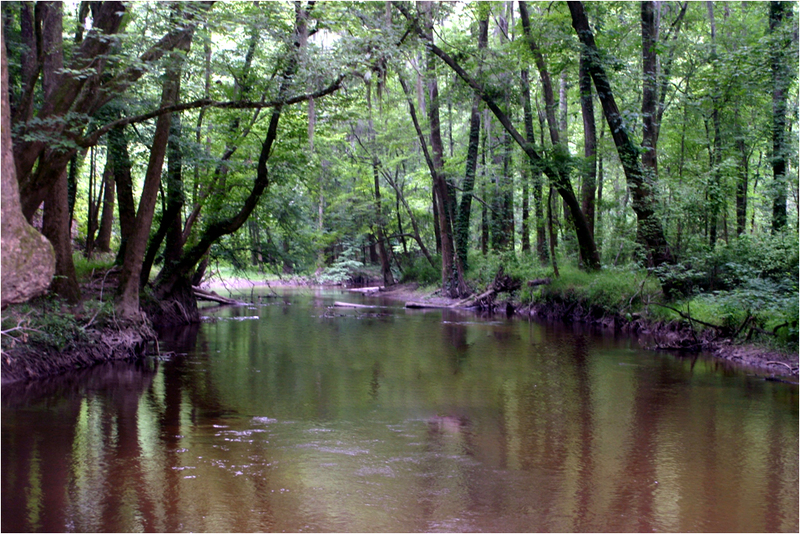 At the request of the River Alliance, the National Park Service has developed a Cultural Resource Study of the river region’s own Congaree Creek. The study provides a popular account of the 12,000 years of history concentrated just off I-77 & I-26. Furthermore, four original paintings to highlight key benchmarks of history were commissioned. If you are interested in purchasing a copy of the Cultural Resource Study, please contact the River Alliance at 803-765-2200 for more information. To date, researchers have already discovered artifacts made or used 11,000 to 12,000 years ago. These artifacts date back to when the last ice age was ending; the makers of these artifacts were primitive humans who were discovering how to make clay pots and spears. Among the evidence found by researchers are shattered pots and arrowheads. Scientists have also discovered artifacts from Indians who lived on the land near the river during 1500s. These Indians were the first to meet the Spanish Conquistadors as they traveled from Europe to explore the New World for gold and other treasures. The land near the Creek has also played a role in more recent history. Researchers have discovered remains of Fort Congaree, which served as a bastion for the colonial settlers of South Carolina. Adding to the history of this unique place are its history as host to key Revolutionary War and Civil War battles. In light of the findings of the Study, the River Alliance is spearheading a plan that would make the 300 acres of picturesque natural setting located just outside of the bustling downtown of Columbia, into an archaeological park. The park will be unique because it will serve as an archaeological dig site, as well as a historical site. A key feature of the proposed park will be the self-guided loop trail leading past researchers as they explore the history of the land. Plans for the park call for the interpretation of the layers of history. The River Alliance also plans to interpret the earthworks from the 1865 Civil War battle so visitors can better understand how the last battle for Columbia happened. At the center of the park will be a modern visitor’s center. The center will orient visitors to the site and provide a space to host educational programs for children and adults. Visitors will also have access to canoes to float down the creek to wonder what life would have been like for the earliest inhabitants of the land. The park will be linked to the Three Rivers Greenway. The River Alliance needs continued community and private support to make the dream of the 12,000 Year History Park a reality. If you would like to support the River Alliance’s effort by make a monetary contribution, please contact us at (803) 765-2200.